First of all, if you are at all confused by the title of this post, drop everything and watch this video. I warn you, don't eat or drink anything while watching and please go to the potty first as a precautionary measure. Okay, now that we've taken care of that, I can tell you about the event. 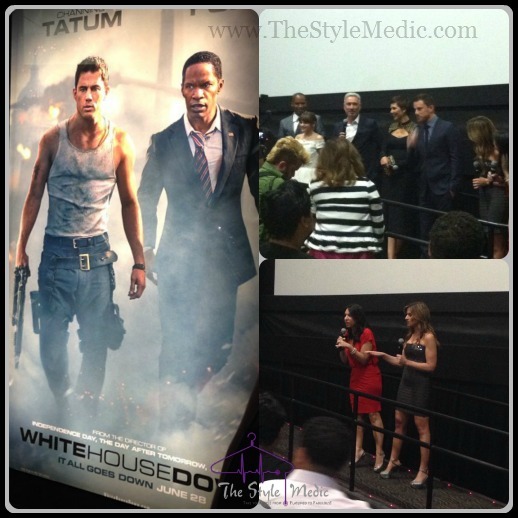 Last Friday I had the pleasure of attending my first Mamarazzi event, the DC premier of White House Down starring Jamie Foxx and Channing Tatum. 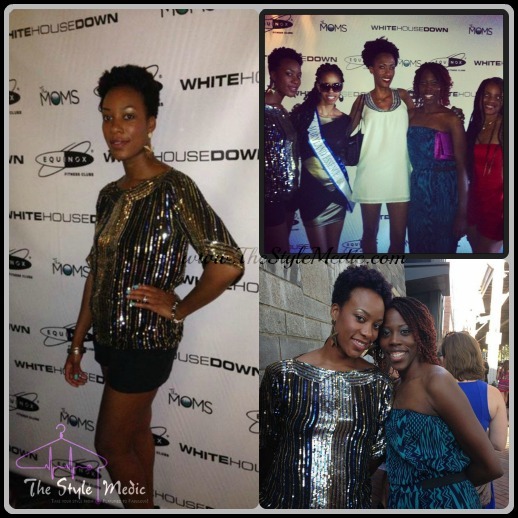 The Moms, the FAB duo responsible for Mamarazzi, hosted areception at Mate Lounge where we enjoyed cocktails, conversation and were treated to a delicious selection of sushi. Following the reception, we made our way to the private screening of the movie… but not before getting the biggest treat of the night: Opening remarks from from the Director, Roland Emmerich, and stars Maggie Gyllenhaal, Jamie Foxx, Joey King and *deep breath* Channing Tatum. Channing. Tatum. The sexiest man alive according to People Magazine (and pretty much everyone else). Whoo! I just needed to get that out. Anywho, the movie was surprisingly good. I say surprisingly because I wasn’t expecting much from a flick that portrayed Jamie Foxx as the POTUS. I mean, I’m a fan, but the President? I just couldn’t picture it. All I can say is, He. Did. That. The movie was equal parts action, comedy and heart. I definitely recommend checking it out. Next Story → Traveling Chic: Conference Style!